Musician’s friend is a world class music instruments online market. It was founded in 1983. Muscian’s friend has a good collection in their store. They sell best, modern and unique music instrument. You can find here guitars, bass guitars, amplifiers, drums and percussion, band and orchestral instruments, key boards and MIDI, live sound, recording, lightings and sound effects, DJ gears, microphones, wirelesses, software etc. They provide world top branded products. They sell their instrument with provide guaranty. Are you interested to buy a music instrument ,you can check musician’s friend website. They provide best product at a low cost, but they ensure their best quality. They don’t compromise with their product. You can order musiciansfriend product in online and payment Paypal. Payment by paypal and they deliver your product in your home. So, hurry ,grab your product from musician friend. 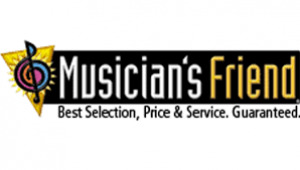 A lots of buyer from Bangladesh are shopping regularly from musiciansfriend.com at low cost.